JEE Main Eligibility Criteria 2020 – Here is a Good news for the students who want to appear for JEE Examination. We have collected our information from all the trusted sources for the inspiring candidates who want to clear JEE exam with high percentage. 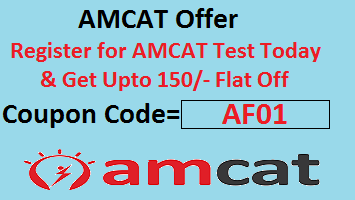 You can find complete eligibility criteria which includes age limit, number of attempt, percentage criteria and passing marks here. NTA is responsible body for conducting IIT Joint Entrance Examination (JEE) 2020. This exam conduct by National Testing Agency (NTA). Entrance exam will be conducted through online and offline process both so you can choose any one of them. 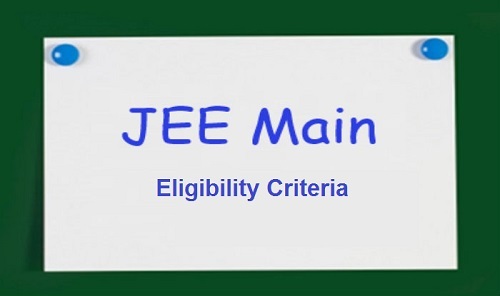 now lets check the complete JEE Main Eligibility Criteria in detail. Candidates must satisfy these eligibility conditions before applying for JEE Main 2020. The Eligibility Criteria for JEE Mains is that the candidate should pass 12th class or have scored 45% marks in each subject. Candidate has to clear minimum 5 subjects in 12th examination. Inspiring candidates can appear for JEE Main 2020 must have to clear the subjects i.e. Physics, Chemistry & mathematics in order to apply. If you are NRis, PIOs, OCIs and Foreign national candidate also eligible. The applicants who want admission to NITs, IITs, and CFTIs must score minimum of 75% marks (65% for SC/ST students) in the exam. Aadhar card is not mandatory document for appearing in entrance examination. Passport number, Ration Card number, Bank Ac no or any other valid id card use to apply for Jee Main 2020. NTA has been removed age limit criteria for JEE Mains entrance examination. Here, no board marks are given importance while calculating the marks of JEE Main. Applicant must have passed their 12th or equivalent examination from a recognized board. The candidates should have studied these 5 subjects in 12th. The Candidates must have passed with Physics and Mathematics as mandatory subjects along with one of Chemistry/ Biology/ Biotechnology/ Technical subject. For B.Arch (Paper 2): You have to secured 50% aggregate in the qualifying exam with Physics, Chemistry and Maths as mandatory subjects. The candidates who have passed their 12th class examination in 2018 or 2019 can apply for JEE Mains entrance examination. If you have completed your 12th class before 2018 then you are not eligible for examination. If the candidate has appeared in 12th class in 2017 but did not pass in 2017, then passed in 2018 are not eligible to appear. A candidate who qualify 12th exam in 2019 and appears for the improvement in 2020, than top 20 percentile cut-off for 2019 will be considered. If candidate appears in all subjects in 2020, then the top two subjects written are considered. If you are an appearing student of class 12th in year 2020 then you are eligible for JEE Mains entrance exam. Diploma holders are also eligible but their score card in JEE Main will not be considered for admission in NITs & CFTIs. Then you have to secure minimum 75% marks (for SC/ ST 65%) in the Qualifying examination or must be in top 20 percentile in class 12th examination by respective board. For BE/ B.Tech: Physics and Chemistry are mandatory subjects. For B.Arch/ B.Planning: Mathematics is mandatory subject. Now, We think that our hard work really pays and our students are really going to take the benefit from our information. If you have any confusion over JEE Main Eligibility Criteria 2020 then please comment. We always able to solve your query on immediate basis.